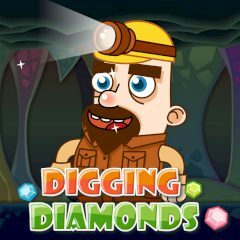 This brave miner decided to dig a deep mine in search of diamonds. And, as you've probably guessed, your task is to help him get rich or overlive an epic fail. Find groups of two or more gems of the same color and take them.